Of the many methods available for hair removal, painless hair removal is very accessible nowadays for those who desire it. The old days of painful waxing that pulled not only on the hair, but skin, are gone. Science and technology have provided abundant ways to remove unwanted hair. The legs, underarms, bikini area, and face are all common areas where individuals seek hair removal. Unfortunately, most of these areas are normally prone to having hair growth. Additionally, removing unwanted hair can be aggravated by hormone imbalances, heredity, and ethnicity. Shaving is the most well known way to achieve painless hair removal. It will not disturb the hair root or follicle. For best results, experts advise that hair to be shaved is thoroughly wet. Shaving in the direction the hair grows eases discomfort. Also, avoid repeating strokes, and keep the skin relaxed while shaving. Depilatories are also a popular painless way to remove hair. These are creams or lotions that use a chemical compound to dissolve the protein of the hair. This method does not leave hard, sharp stubble like shaving does. The remaining hair has rounded edges, and regrowth takes longer. Depilatories work well on large areas of the body, like the arms, back, and legs. 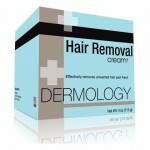 Topical prescription creams are popular for smaller areas of hair removal, such as unwanted facial growth. These creams block enzymes that cause hair growth, so growth slows down and may even stop. This method is good to use in combination with laser treatments. Usually a commitment of 8 weeks to 6 month is needed for the best results to be achieved. When hormone imbalances cause abnormal or excessive unwanted hair growth, oral contraceptives and hormonal treatments can be administered. This method of painless hair removal can be started with a visit to your doctor. Painless hair removal can be done in the comfort of your own home, or at a beauty spa. It all depends on the amount of time and money that you want to spend. For those who need more support with hair removal, a spa is best. Another advantage of some painless hair removal methods is in the skin conditioning properties they contain. Those with fine and thin hair can use small buffers that remove hair while exfoliating dead skin cells. Crèmes and lotions normally have ingredients that pamper the skin while removing unwanted hair. Skin is left feeling healthier, softer and suppler.